23 hours agoMy Cosplay does not give Consent 1 week agoObsessive Disney Disorder 2 weeks agoBuilding Pyramids 2 weeks agoFringe Movements Rising: The Slippery Slopes of Conspiracy Movements 3 weeks agoWhat’s a Queen to a Non-believer? Let’s be honest for a moment, fellas. At one point or another, we’ve all been stood up. Maybe the smoking hot blonde you chatted up in history class bailed on you at the last-minute. Or the Latin cutie you danced the night away with never returned your calls. The reasons behind these tragic tales of puppy-dog-heartbreak vary. But what if I told you that one of the reasons you’re striking out could be due to your reputation on Lulu. What is Lulu you ask? Lulu is a new female-friendly and controversial mobile app that allows women to anonymously rate their male Facebook friends on a number of attributes, including their appearance and sexual prowess. Synched via Facebook, a man’s appearance on Lulu is completely involuntary. Women can log in and declare whether they were in a relationship with the man, a hook-up, a crush or just a friend. Thereafter, they rate the guy’s humor, attractiveness, ability to commit, manners and ambition on a scale from one to ten. The ratings are averaged out to produce an overall score that appears below the man’s profile photo. 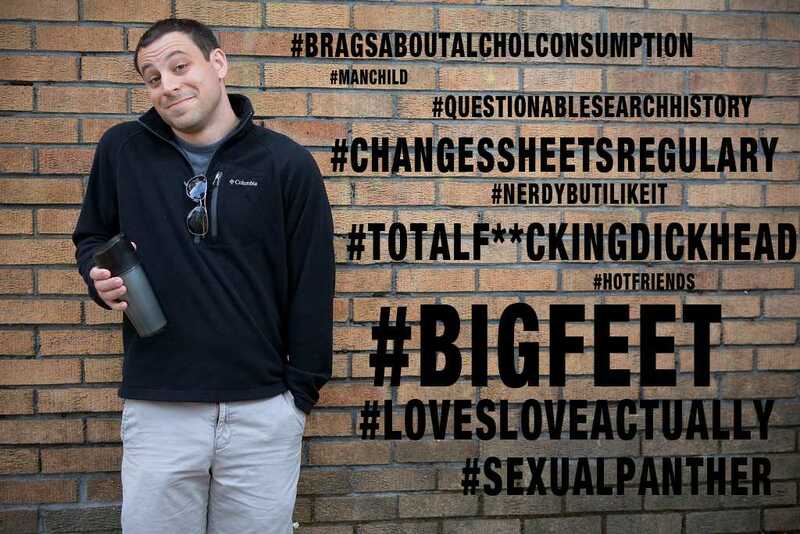 In addition, women can apply a number of hash tags on a man’s profile to paint a more descriptive picture. Such hashtags include #Big.Feet #WeirdDirtyTalk, #ChangesSheetsRegularly, #LovesLoveActually, #BragsAboutAlcoholConsumption, #F—-dMeAndChuckedMe, #WouldVoteForAFemalePresident and #TotalF—ingDickhead. Co-founder and CEO Alexandra Chong created the app to give women a safe zone to conduct extensive girl talk. Launched on Android and iOS in June of 2012, the app has been quite successful, as over 80 million profiles have been reviewed since mid-January. To the guys receiving positive reviews, the app’s emergence has been a pleasant experience. Additionally, some women are thrilled to have an app that provides insight on prospective boyfriends. The ability to see what their fellow sistren have said is a somewhat useful (even if unreliable) dating tool. On the other hand, some women are a bit turned off to the idea, classifying the app as creepy and classless. Whereas some men are none too happy about the creation of a potential social-media monster. Conversely, other men don’t care about the potential threat Lulu imposes on their dating reputation, viewing the app as just a silly gadget girls use for gossip. Earlier this year, Chong was quoted in the Huffington Post saying, “Should a guy not do well in a particular category, then they can change their behavior.” However, guys are unable to view their profile, as Lulu processes their gender status through Facebook and blocks them if they’re not female. Therefore, even if a guy grades out poorly in a category, he’s unable to find out unless he lurks from a female friend’s account. Some men and women alike believe Lulu users are employing a double standard, as the app is blatantly sexist during an era when such sexism would be frowned upon if the app were targeted toward male users. For instance, if a man’s version of Lulu was developed that included such hashtags as #Waxed, #OnlyWearsGrannyPanties and #DoesntGiveBJs, what would the public reaction be? On top of that, some believe Lulu is inherently flawed as the users are naturally biased. If a woman had a pleasant relationship with an ex-boyfriend, would she really take time out of her day to boost his stock with a glowing Lulu review? If a relationship is successful, then there isn’t much incentive for a woman to provide positive feedback. As such, reviewers are mostly limited to those engaged in a platonic relationship, hookups, or bitter ex-girlfriends with a vengeful agenda. Furthermore, according to the app’s terms and conditions, men who don’t want to have a profile on Lulu must send in an email with their Facebook username attached demanding to be deleted. Subsequently, any man whose name has been publicly defamed must go through an annoying process to eradicate himself from a mess he did nothing to get himself into.